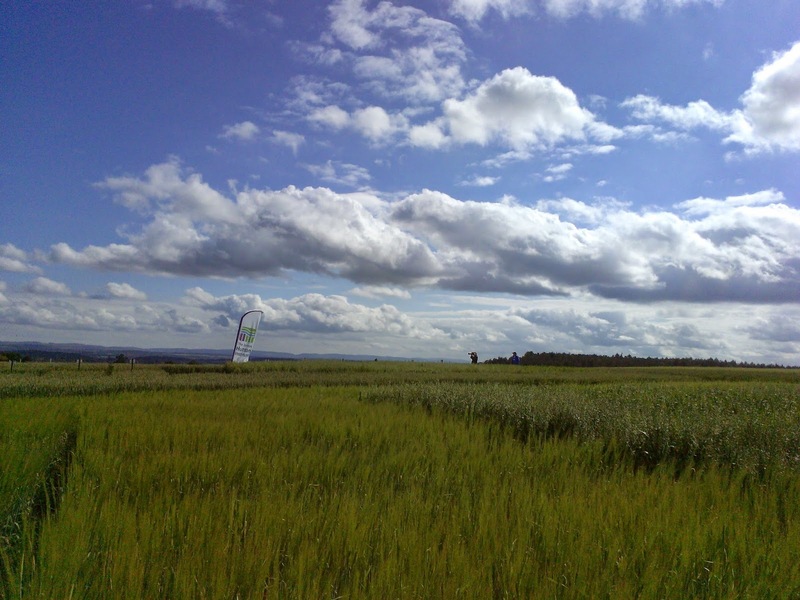 As part of my current job at the lovely James Hutton Institute, a first class research centre where science involves tackling some of the world’s most challenging problems including the impact of climate change and threats to food and water security, I helped out at the Cereals in Practice event yesterday. It was held on a farm somewhere halfway between Dundee and Perth. If you think cereals are boring, think again. 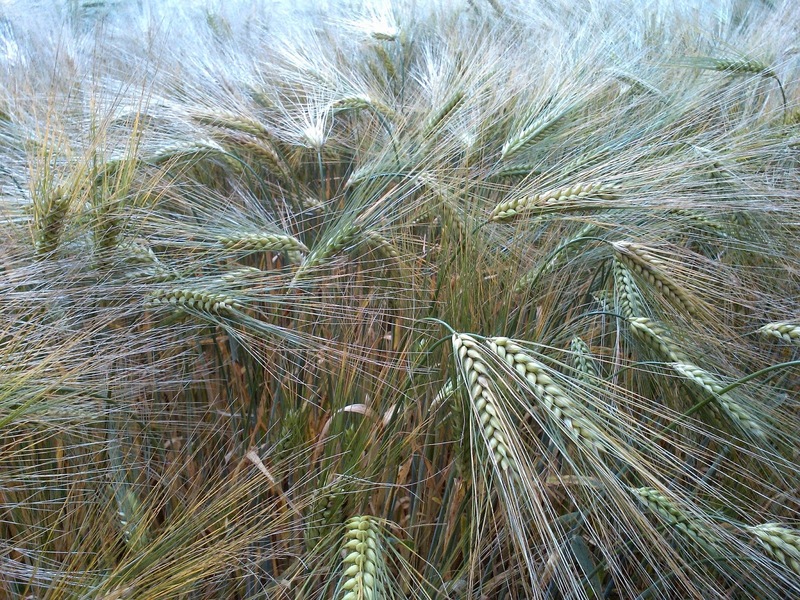 There is all sorts of cool research being done into how crops will deal with climate change, what influence nitrogen has on malt processability (very important for the Scottish whisky brewing industry) and how soil structure is assessed. Prize question: What kind of cereal is that? 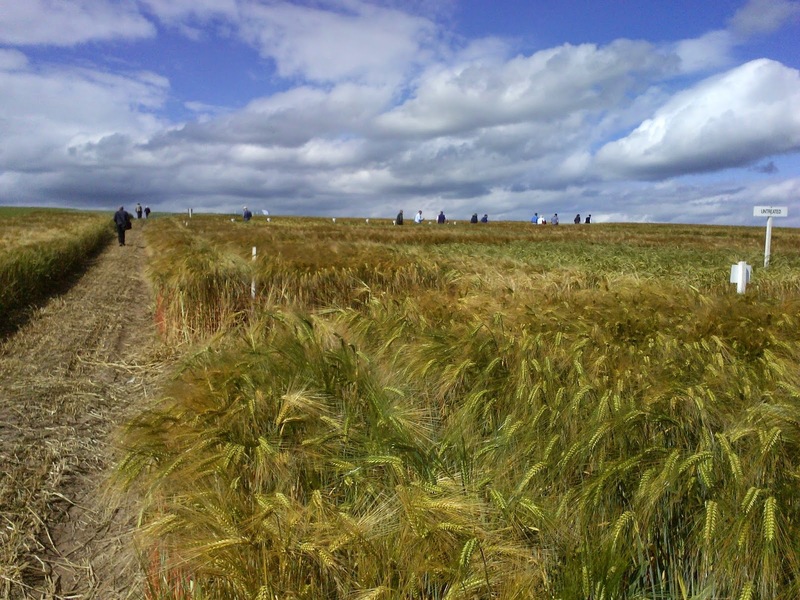 As part of the event, there were 12 stations within the barley and wheat fields where scientists explained about their research and what importance the findings might have for farmers. My role was to greet visitors at reception, show them around the fields and scientist stations, take pictures for the media coverage and gather feedback at the end of the evening.